WITH an alumni as diverse as Andy Murray and Paolo Nutini, now is your chance to vote for YOUR favourite live event from the SSE Hydro in 2018. Now into its fourth year, the SSE Live Awards will feature more voting categories and more winners, with the task of voting falling to you, the fans! In a year that has seen one of Scotland’s biggest venues host everything from Paul McCartney to Premier League Darts, and Britney Spears to Pete Tong, the roster of nominees is nothing short of staggering. Michael McIntyre and Kevin Bridges head up the ‘Best Comedy Show’ category, while Kylie Minogue and Paul Simon will battle it out over the crowd of ‘Best Solo Artist’. Earlier this year, one of the most electrifying live bands in the world, Arcade Fire, brought their incredible stage show to Glasgow, but the award of ‘Best Group’ is by no means in their hands, with some incredibly tough competition. 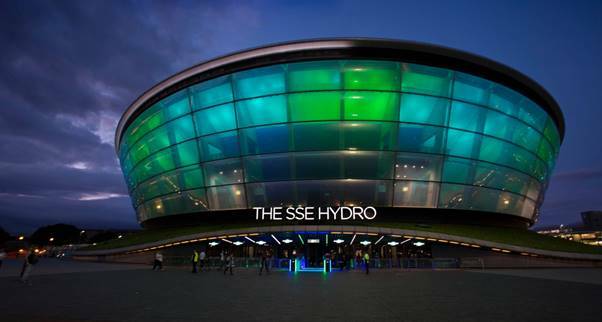 Voting is now open for the SSE Live Awards 2018, with fans also being entered in with a chance of winning tickets and VIP experiences at The SSE Hydro in 2019. Vote now!